Gallery 209 in Rockville, Maryland is open! I’m taking a break from my art blog for an exciting new effort… Gallery 209! 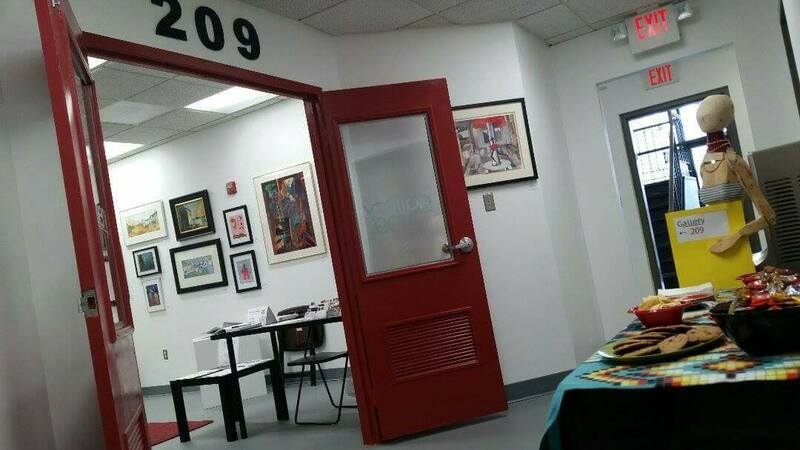 This beautiful 12-artist art gallery cooperative is in #209 of the Artists & Makers Studios 2, located at 12276 Wilkins Ave., Rockville, Maryland 20852. Artists & Makers Studios 1 and 2 just celebrated its second anniversary and is part of Rockville’s emerging and vibrant art scene. Three re-purposed buildings include studio and gallery space for about 150 local artists; there’s even an art school and special events, too! Gallery 209 is open Tuesday-Saturday, 10 AM – 4PM. Our artists will greet and meet you in person from 6 – 9 PM the first Friday of each month as we launch a new exhibit; other A&M Studios 1 and 2 will also be open then and with a reception. Our artists will also be there in person every Saturday from noon – 4PM, for other Artists & Makers or Gallery 209 special events, and by appointment. I invite you to follow Gallery 209 on Facebook and subscribe for art news and invitations!